Well, first things first. In order to tag your pictures effectively, you will need some sort of device that will record your position here on Earth. 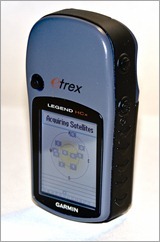 Such devices are called GPS, for Global Positioning System. Many of us have one in our car called TomTom, JohnJohn or other. They tell us where we have to turn and stop when we have arrived. These devices are rather costly and totally inefficient for us, photographers. Others will have an iPhone and may be lucky already. This little device I bought online from Semsons is called a DataLogger. Switched on, it records date+time+position at a regular interval. I always use it at a one second interval, after all, I never know in advance when I will be taking pictures. I switch it on when leaving home, stuff it in my camera bag and forget about it all day. Batteries (2 AAAs) will last about a day. 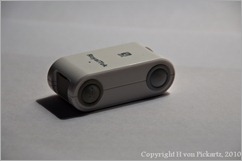 Returning home, I download the data from the datalogger to my computer with the included USB cable. The files are standard text files, although the data inside is rather indigestive and should not be read by humans. We have programs for that. Then comes the “magical” part. Your camera always records date and time for every picture it takes. If you combine this date+time with the date+time+position of the datalogger, then you get date+time+position for every picture you have taken during that day. 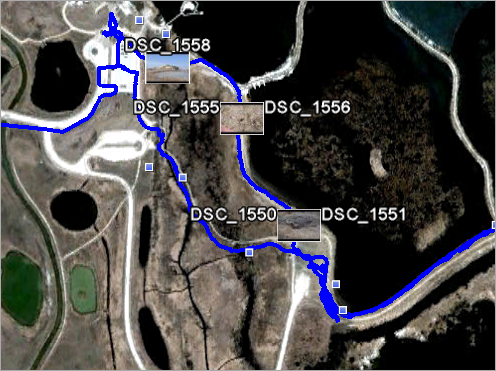 This process is called “GeoTagging”, it tags your pictures with GeoPositioning information. The program to do this (on PC) is called GeoSetter and is freely available from GeoSetter by Friedemann Schmidt. This program will take the data files from the datalogger and compares it with the date+time from each picture. Every picture will now get some extra information that will be written away in the picture’s EXIF data. I then simply import the “treated” images from that folder into Lightroom. Lightroom already knows everything about EXIF data, because it also contains shutter speed, aperture and tons of other technical information that has been recorded with each picture. 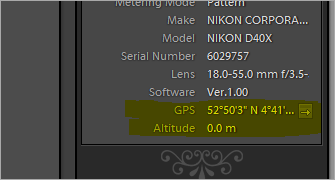 In the pane for the EXIF data, we can now observe an extra line (or more, depending on the data you recorded) called GPS. A click on the arrow next to the GPS data will bring you to the corresponding Google Maps page for these coordinates. 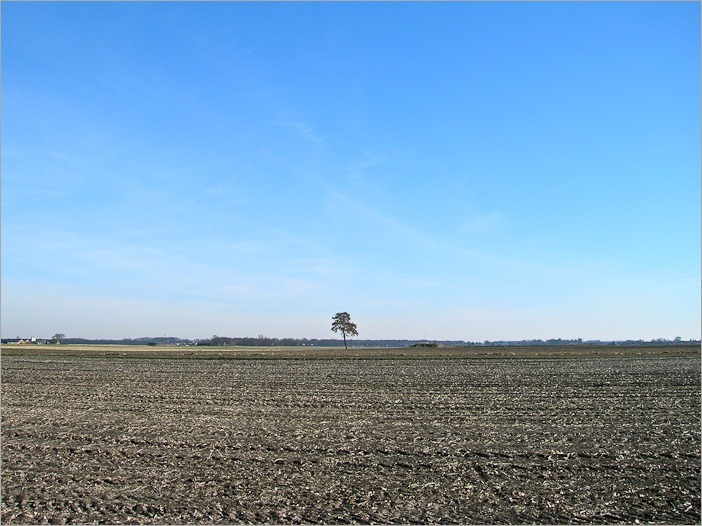 You can so find the exact place (of the datalogger) at the time you took that particular picture. Obviously, you should keep the datalogger with you and not leave it in the car. This device will tell me where I am, at all time. It also (most importantly) tells me what the state of the batteries is and warns me with a signal that they are about to die. That saves me from coming home with hundreds of pictures, only to see that the data logger stopped working in the morning. Another interesting factor of GeoSetter and dataloggers/GPS is that you can show the complete route you have taken on Google Maps. 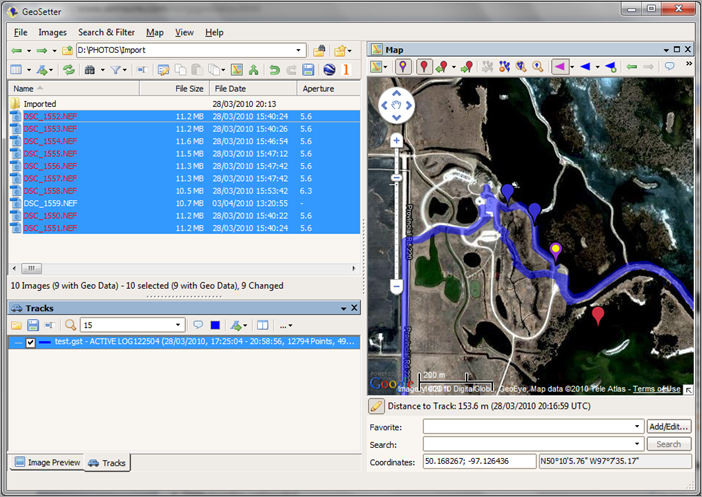 Simply record the track on your computer and tell Geosetter to make a .kml file necessary for Google Maps. Then open it and you will see your trip, plus the places where you took pictures. Google Earth shows you all the places where you’ve been, or at least where the datalogger has been. Now, away from Google, Flickr will also show the places where the geotagged pictures have been taken. You have nothing specific to do for Flickr to recognize the places. It even has an extensive database with name places and will try to add the name of the place where the picture was taken. From now on, never a fear that in a few years I will have forgotten where the picture has been taken. Yahoo maps, Google Maps, Flickr and numerous other sites on the internet can tell me that with the precision of a few metres.